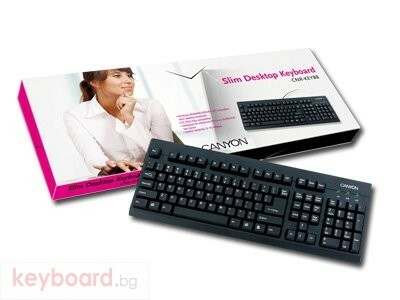 This standard keyboard with PC power control functions is available in black or white. It provides three ACPI power management keys: "Power off", "Sleep" and "Wake up". This keyboard comes standard with a PS2 connector. The CNR-KEYB8x also features a high quality, soft-touch membrane for comfortable typing. It is compatible with Windows XP/Vista/7.